Here is the second burger. It is the first time I tasted seafood burger without deep frying. This burger is a must try. 1. 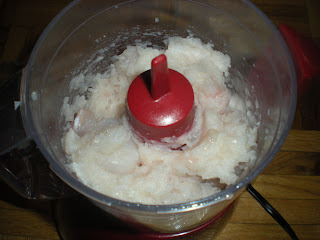 In a food processor, place sole fillet and half of the scallops, process until smooth texture. 2. 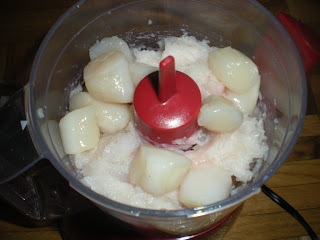 Place the remaining scallop and process for about 15-20 seconds, until small lumps of scallops in the mixture. 3. Add egg, parsley, and pepper to mixture and shape into 4 inches patty. 4. 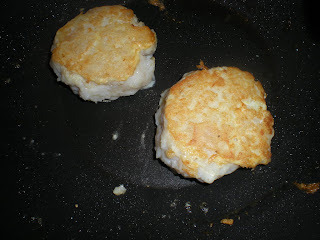 In a large skillet, heat oil over medium-high heat, cook patty for about 4-5 mins on each side until golden. 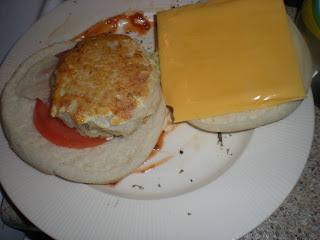 Serve on hamburger buns.